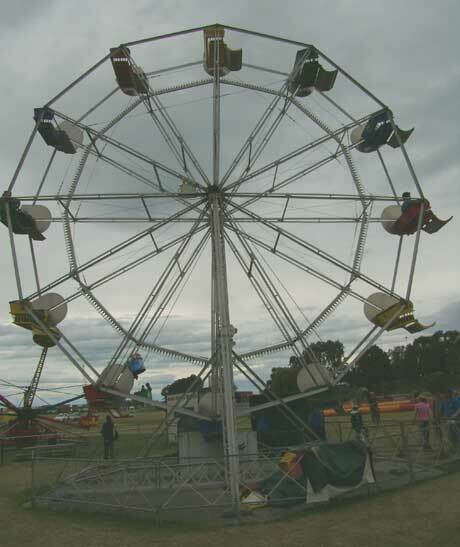 The Big Wheel is a Ferris Wheel type of ride operated by the Caroline Bay Association and is a major attraction of the carnival. 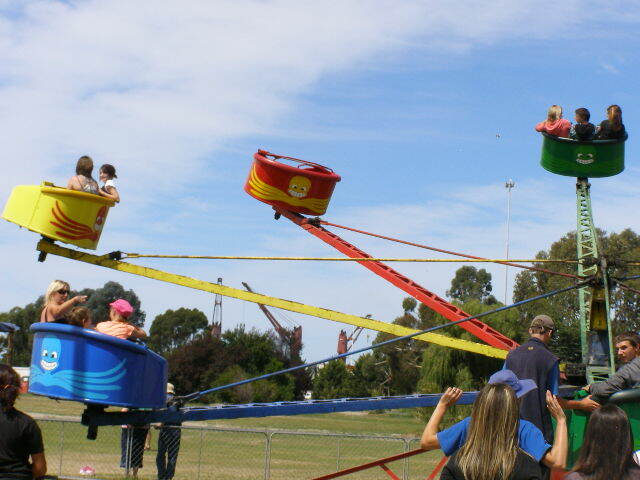 The Octopus is a rotating device that offers fun and thrills for those not faint of heart. The device has lots of chairs that rotate at a goodspeed, this ride is not for those with weak stomachs. Mini Golf $5 a round. This 18 hole Mini Golf course is operated by the CBA over the summer period and most weekends and school holidays throughout the year. Community and Business Groups can also hire it out. Bookings email Caroline.Bay@xtra.co.nz or Ph 021 208-1400. 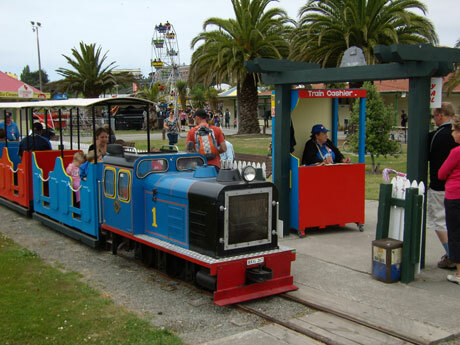 The Mini Train track is operated jointly by the CBA and the Timaru Host Lions Club and, like the mini golf, it also operates weekends and School Holidays and at various other times throughout the year. Profits from the CBA rides and other activities are put back into the Community making additions etc. 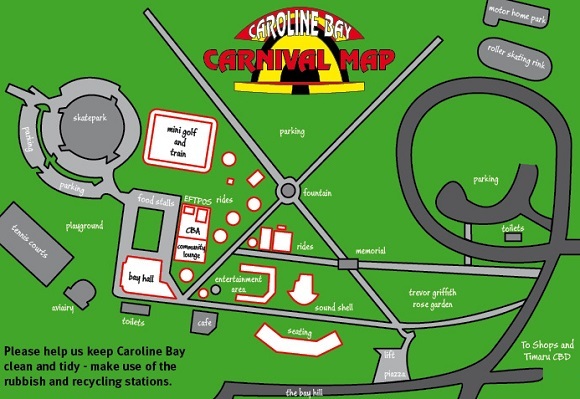 to Caroline Bay. 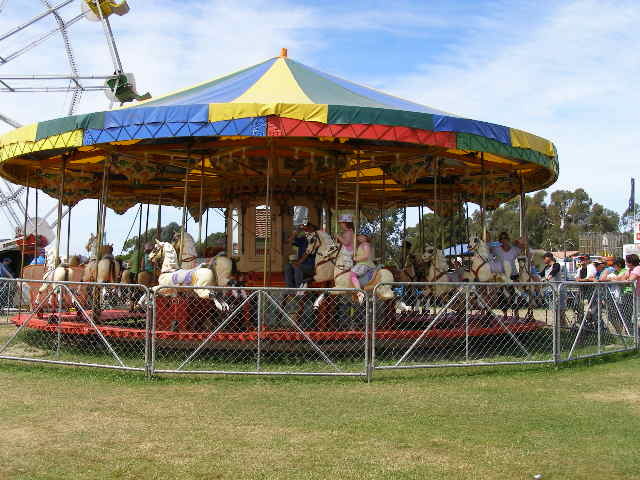 The CBA performs regular maintenance of all rides in accordance with the New Zealand Department of Occupational Safety and Health Regulations.